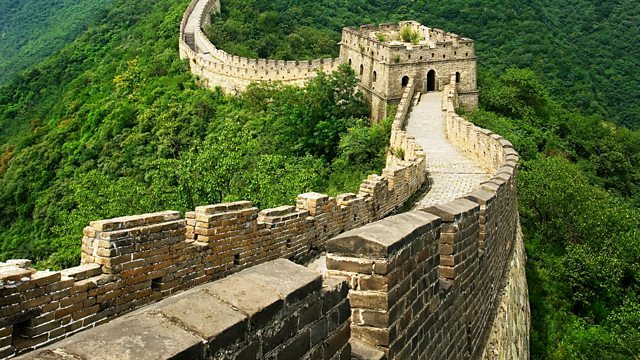 Melvyn Bragg and guests Julia Lovell, Rana Mitter and Frances Wood discuss The Great Wall of China. Melvyn Bragg and guests discuss the Great Wall of China.The Great Wall is not a single Wall. It is not visible from space, contrary to popular belief, as it is much too thin. But it remains a spectacular architectural and historical phenomenon.The Great Wall's military importance, and its symbolic power, have varied widely in its long existence, as its place in Chinese life has shifted with the country's history. It was initially constructed at the command of the first Emperor, from 221 BC, and was a combination of the various protective walls that had been built by the smaller states which he had conquered and merged to form China. The original Wall was made of pounded earth, and in places the wind-carved remains of this two thousand year old construction are still visible. But the Wall which is familiar to us today is the work of the Ming Dynasty, and its vast programme of reinforcement - prompted by a renewed threat from the Mongols in the north. In the 17th century, amazed Jesuits sent back reports to Europe about the Wall, and ever since it has held a powerful place in the imagination of the West. Some scholars argue that this in turn has shaped the modern Chinese appreciation of their astounding inheritance.Julia LovellLecturer in Chinese History at Birkbeck College, University of LondonRana MitterProfessor of the History and Politics of Modern China at the University of OxfordFrances WoodHead of the Chinese Section at the British LibraryPRODUCER: PHIL TINLINE.